From offices in the Chicago suburb of Burr Ridge, Ernest Codilis and his team at the law firm of Codilis & Associates, PC, concentrate on serving clients in matters involving creditors’ rights, mortgage lending, bankruptcy, and other areas of practice. 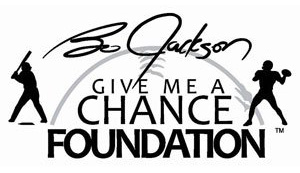 The firm also maintains a strong involvement in its community, with partners and associates supporting a wide range of nonprofit organizations, including Bo Jackson’s Give Me a Chance Foundation. Started by Bo Jackson, a legendary Heisman Trophy-winning professional football and baseball player, the foundation works to create positive changes in the lives of youth who are identified as at-risk and underprivileged. Operating with its founder’s passionate belief in the power of sports and academics to inspire young people to become their best selves, the foundation offers character-building activities and training programs that have reached out to hundreds of children in the Chicago area. In particular, the foundation provides funding to allow children to attend special sports-focused summer camps, operated in collaboration with Jackson’s Elite Sports Dome and the Cangelosi Baseball training program. With the support of these two local venues, the foundation is able to offer young athletes the chance to become experienced and well-rounded players while developing agility, stamina, and resilience. Board members of the foundation serve without compensation, and 80 percent of donated funds go toward the programs, equipment, and services that directly impact young people.